Head out and look for buds and pick a branch, traditionally it should be birch. Put different kinds of feathers on the branch; use pipe cleaners for young kids. 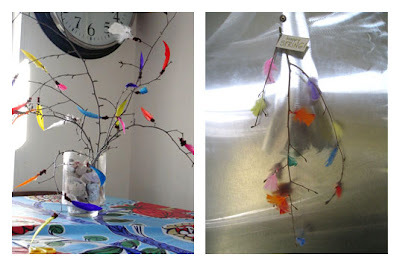 If your child is older you can use florist wire for binding the feathers to the branch. Put the branches in water and watch it grow leaves.